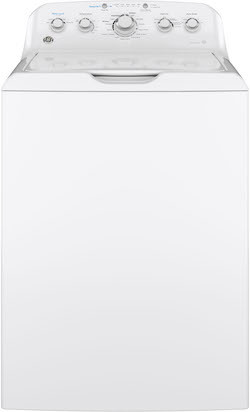 GE offers eight high efficiency top load washers and six agitator top load washers as of this writing. This year, they are introducing a new lower-priced impeller washer, updating two of their agitator washers, and discontinuing one of the agitator models. The new agitator models offer larger tub capacities and some changes to the control setup. Popular features like deep fill options and the ability to open the lid during the cycle to add garments are still available on the new models. Note: If you click any of the links below and end up at a 404 error page, that means the model in question has been discontinued. First up: the GTW330ASKWW agitator washer, retailing at $629, is being transitioned to the GTW335ASNWW, which will retail at the same price. The capacity is increasing from 3.8 cubic feet to 4.2 cubic feet, but the exterior dimensions aren't changing - both models measure 27" wide by 27" deep by 44" tall. The main differences are in the controls: instead of listing Load Size, they have a Water Level dial along with a Precise Fill option for automatic load size sensing and filling. They mean the same thing, but they most likely changed it to make it clearer to consumers that you can decide how much water the washer dispenses for a cycle. Precise Fill will save the most water by letting the washing machine take over, but this washer is a good option for people who want to control the water level. The new control layout also emphasizes the Deep Rinse option, which uses extra water in the rinse that is ideal for distributing fabric softener evenly throughout the clothes. For those curious about energy efficiency, the Energy Guide for both models is very similar with an estimated yearly energy cost of $22 when used with an electric water heater. Keep in mind that energy cost does not include the cost of water usage. Pictured below: the controls for the old vs new model. Click here to read over 1,500 real customer reviews of the GTW330ASKWW! Next up: the GTW460ASJWW, which retails at $729, is being replaced by the GTW465ASNWW. The capacity is increasing from 4.2 cubic feet to 4.5 cubic feet while remaining within the 27" by 27" footprint and 44" tall to the top of the backguard. 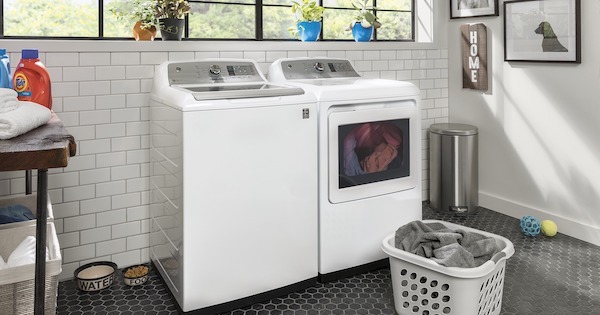 This is the next step up from the GTW330/335 models above, and they expand on the base model with a few extra features and options reflecting changes in washing machine technology. For example, the agitator is a dual-action agitator. 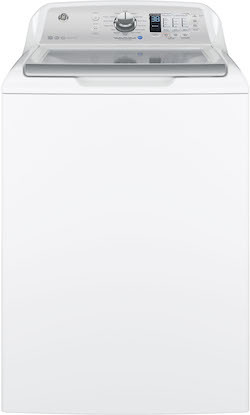 According to GE, the dual-action agitator has a top and bottom half that operate independently. The top portion moves in one direction to move clothes down towards the agitator base. The base portion moves in both directions to provide the mechanical cleaning action. GE says that the dual-action agitator provides better circulation and turnover of the clothes than their single-action agitator. The controls have been changed on the new model to reflect that the "Load Size" dial is actually for selecting the water level. The Water Level dial and Deep Fill option have been highlighted on the new model as well to draw your attention! As far as energy efficiency goes, the new model uses less energy, bringing the estimated kWh usage from 284 down to 210 (saving you about 25% on electricity if you have an electric water heater). Lastly, the Energy Star rated agitator model GTW485ASJWS is being discontinued, although they still offer two other dual-action agitator models in addition to the options highlighted above: the GTW685BSLWS (4.5 cubic foot capacity, available in white at $849 or diamond gray at $949), and GTW755CSMWS (4.9 cubic foot capacity, available in white at $949 or diamond gray at $1,049). Click here to read over 200 real customer reviews of this product! SmartDispense technology similar to Whirlpool Load & Go - add up to 75 ounces of detergent at once and the washer will automatically dispense the right amount for each load! A new low-priced Energy Star rated impeller model GTW500ASNWS is joining the lineup. It has a solid lid rather than the glass lid featured on the more expensive impeller models in the lineup and retails at $779. The other models in the lineup include the GTW680BSJWS (4.6 cubic feet, available in white at $849 or diamond gray at $949) and GTW750CSLWS (5.0 cubic feet, available in white at $949 or diamond gray at $1,049). Both of the existing models are highly rated based on customer reviews, so it will be interesting to see how the new kid on the block performs! The impeller models are all Energy Star rated, so they will use 25-30% less water and energy than comparable washers that are not Energy Star rated. Like the previous higher-end agitator washer models we discussed, the GTW680 and GTW750 models come with similar extra features. The GTW680 models offer a stain removal guide, digital time remaining readout, plus a recirculation pump (found on all GE washers with glass lids) to thoroughly saturate clothes with water and detergent once the washer has filled. 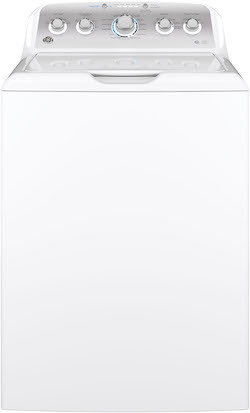 Click here to read over 1,300 reviews of this product! The GTW750 models come with wifi connect and an automatic detergent dispenser. Click here to read over 300 reviews of this product! They look pretty similar in exterior style to the agitator washers pictured above. The new GTW500ASNWS features a solid lid rather than a glass lid and offers 4.6 cubic feet of capacity. It comes with a Stain PreTreat option dial selection, 13 wash cycles, and dial options for water temperature, soil level, and rinses. Use the wash cycles and let the washer handle things, or choose the specific temperatures and soil levels if you prefer to control every step of the process. GE calls their impeller an "efficient infuser" for some reason, so don't let that term confuse you when you're out shopping. This model is a nicely featured washer that's Energy Star rated while still giving you the ability to add extra water when you need it. Check out our reviews of the best top load washers of the year for more products to compare, or our list of the largest agitator washers of the year if you want a traditional top load model! What do you think about these changes? 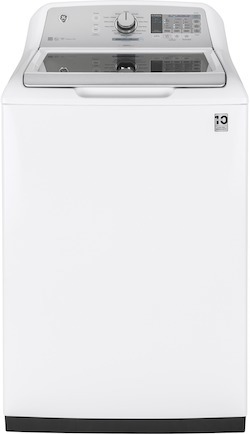 Do you like GE laundry products? Leave us a comment below - We'd love to hear from you!